Designed for electric guitarists on the move, the HeadRush Gigboard provides amplifier and cabinet modeling, multiple effects processors, a 20-minute looper, and more. Its quad-core processor and Eleven HD Expanded DSP software ensure you'll have loads of sounds, all of which can be controlled via four footswitches and a powerful 7" touchscreen allowing swipe, touch, and drag and drop controls. The preloaded models include 34 amplifiers, 15 cabinets, 10 microphones, and over 40 effects. Load third-party and custom impulse responses to expand your tonal options. Plug your guitar into the 1/4" input and play along with music from a smartphone or MP3 player via the 3.5mm input. You can use the mono 1/4" send/return path to loop your own pedals or rack effects into the chain. Connect to an amplifier or house PA via the 1/4" output or record and reamp via USB. 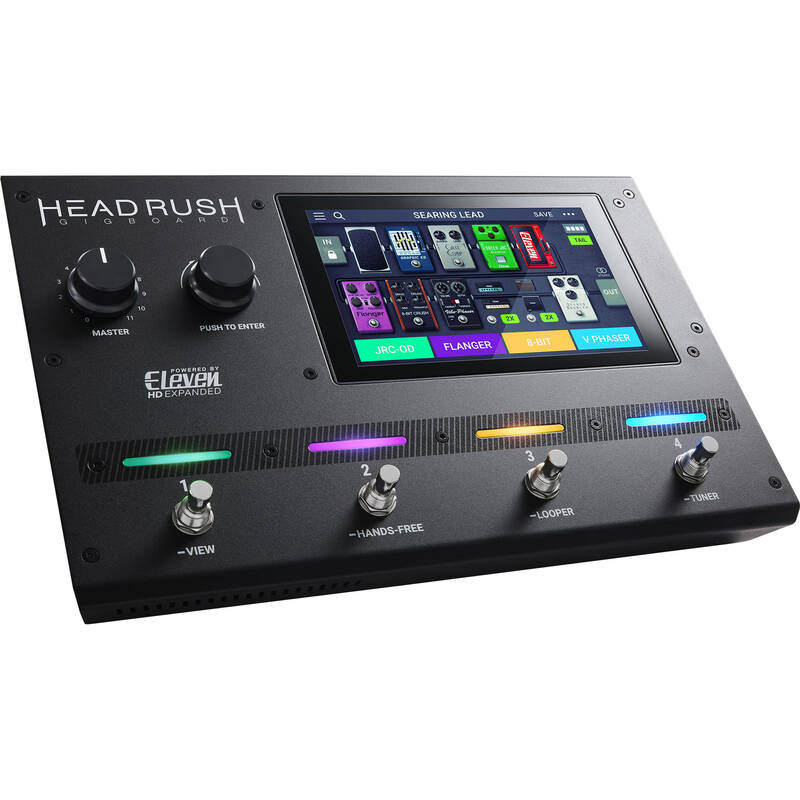 The HeadRush Gigboard offers MIDI I/O and a secondary expression pedal input for expanded control capabilities.